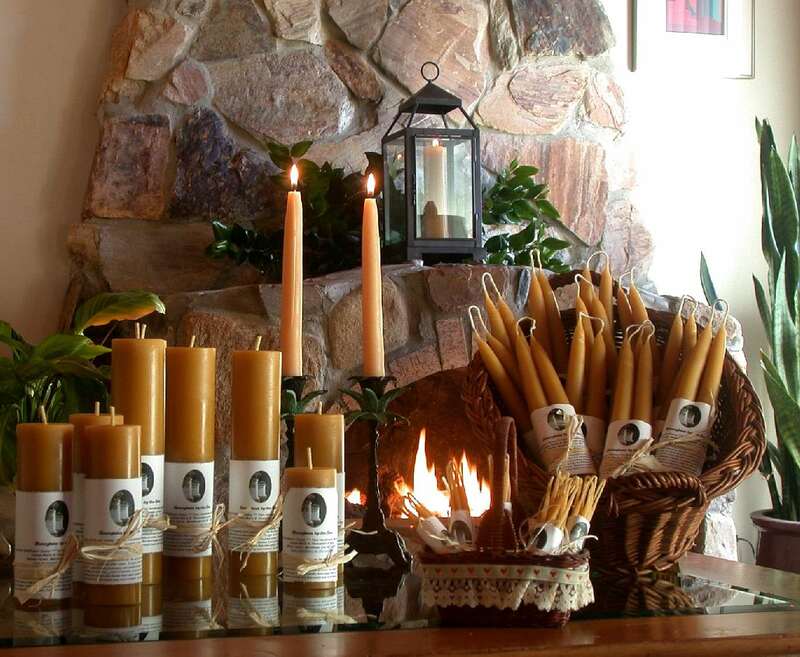 dipped Birthday Candles for people who love to surround themselves with authentic, natural items that are useful and beautiful. The bulk of our beeswax comes from Brushy Mountain Bee Farm, in Moravian Falls, North Carolina. Steve Forrest, owner of Brushy Mountain Bee Farm, assures me they test their wax for purity and use only cell cappings from the honey harvest, the cleanest wax of all. For more information on our candle varieties please click the appropriate link buttons above.